DK Garage & Classics is a family run business based in Pulborough, West Sussex, providing vehicle servicing, repairs, MOT's, bodywork, vehicle sales & much more. We welcome all makes and models at our workshop, however, our friendly team also specialise in classic car restoration, repairs & sales. We restore American and European classics back to their former glory. From there we will provide you with the best advice going forward, so you can maintain your classic beauty. Our well-accomplished mechanics are passionate about providing remarkable repairs and services and have a combined experience of over 200 years. 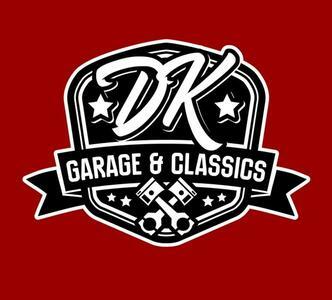 DK Garage & Classics established back in 2017 with an aim of quality repairs at competitive prices. We are always happy to discuss your options available and will always chat with you before we carry out any further work if required. All our OE quality parts come with a standard manufacturer warranty. Collection and delivery is available for customers within 5 miles.